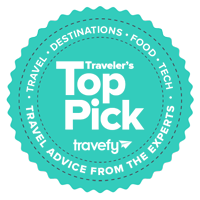 Each week our experts choose put together one list of the best of the best of some of the top travel ideas and products out there. Cancún boasts some of the best beaches and resorts in the world, paired with a relatively bargain price tag compared to other destinations like Miami, Las Vegas or Key West. But Cancún is not a well-kept secret, thus it can be a madhouse during the busy season. If you’re looking for a great all-inclusive resort experience for a romantic beach getaway, a girls getaway or a family vacation, here are some beautiful all-inclusive Cancun resorts that accommodate a moderate budget and achieve quality above their respective price tag. El Cid in Puerto Morelos (about 20 mins south of Cancún) earns our top spot for quality combined with value. El Cid has 5-6 different restaurants, multiple bars, and direct beach access. It has a great range of rooms to fit your budget from a standard “Luxury Room” starting at around $370 USD to top-end room with a “Platinum Package” topping out at around $600 USD. An average 4 night stay will come in at around $1,300 USD which is extremely competitive at this rating level. To boot, the bar staff is great all around and doesn’t water down the drinks. In terms of location, El Cid is literally next door to a marina so booking tours or water excursions is easy, and it’s about a 10-minute walk from Puerto Morelos—a local fishing town worth exploring for an afternoon if you like to venture out a bit. The beach is great, but many reviews state there is a fair amount of rocks and coral once you get further into the water and water shoes are needed. As with many all-inclusive or timeshare resorts, you may get asked or cleverly pitched on a timeshare, politely decline and move on and you shouldn’t have any issues. A slightly more expensive option, but this resort is a great combination of a reasonable price range combined with top-shelf luxury amenities. It’s perfect for romantic couple getaways, honeymoons and destination weddings. Dreams Riviera is an amazing resort with raving customer reviews, newly built and well kept, plus perfect private beach access. Even better, many rooms come standard with a private plunge pool or private balcony jacuzzi. The standard resort rooms are not large and spacious, but they’re well equipped with the right amenities and are beautiful and clean. Now Sapphire Resort is another incredible option and prices out between El Cid and Dreams Riviera— at around $450 USD per night. It boasts a beautiful, open beach that is maintained daily for seaweed. Now Sapphire also has raving reviews on its food, and user photos clearly show that the food quality and presentation exceed the price tag attached to this resort. With 1 buffet and 5 à la carte restaurants, there are plenty of options to try without repeating dining experiences on your trip. The only thing to watch out for are the timeshare pitches and the beach bar closes at 6pm. Now resorts offer a few options to match your preferred style in the Cancún area. Jade Resort prices higher than the Sapphire Resort, but still fairly reasonable at $450 USD/night. Jade is much more in the realm of a “mega resort” based on it’s size and spread, but comes with many amenities and different sceneries and spaces to ensure you can escape others if you need. Now Jade gets consistent raving user reviews on service quality, and the restaurants and rooms are more than beautiful. A bit of an outlier compared to the rest of the resorts on the list, but Sunset Marina & Yacht Club deserves a spot on the list—a smaller, quieter resort paired with an incredible price tag. A four-night stay in the off-season comes in at just over $900 or $227 USD/per night. Sunset Marina Resort doesn’t have traditional beach access since it’s attached to a marina, but there is sand and you can get to the water. If you like sticking to the pool and love personable service with an amazing price tag–this is a great resort to look at. It’s in Cancún, so the busyness and local amenities are close at hand. Got a comment? Think something else should be added to the list? Let us know in the comments.